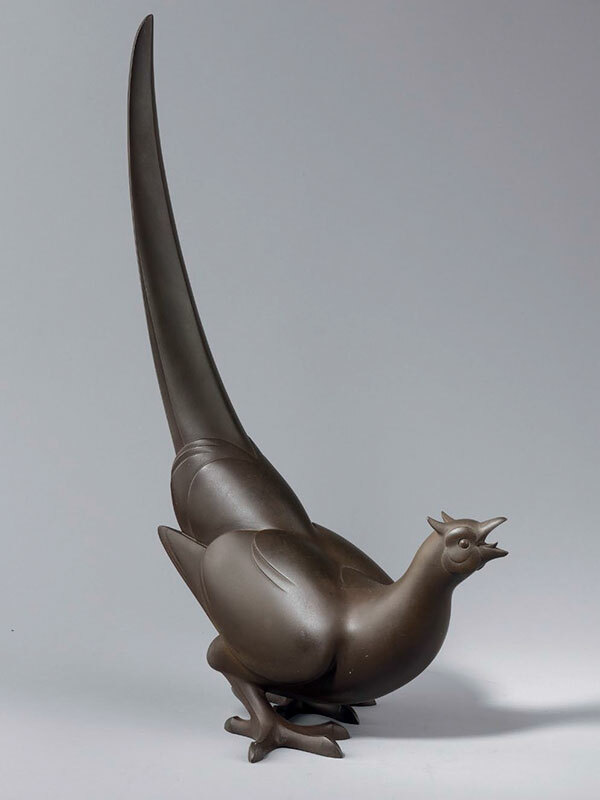 A bronze model of a stylised pheasant, the bird sitting on two feet with the tail up and beak opened. The metal has an attractive brown patina. The underside is engraved Tansho saku (made by Tansho).